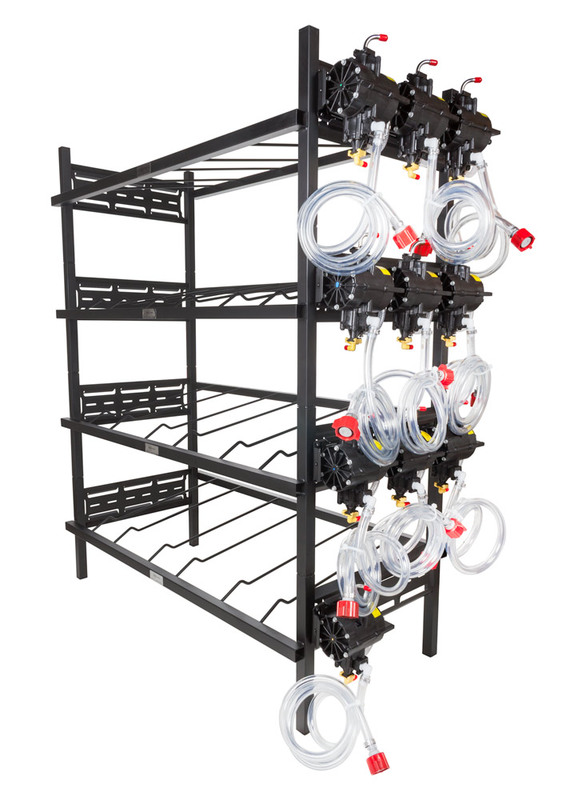 Four (4) triple racks with ten (10) SHURflo syrup pumps and secondary regulator for holding BIB syrup boxes. Stackable with slotted holes on the side for easy pump mounting. Some assembly required.